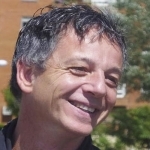 Joan Font is senior researcher at the IESA-CSIC and director of the cherry-picking project. His research interests focus on public participation and the role of citizens in policy-making. He has published in national and international journals about elections, surveys, public opinion, associations, citizen juries, deliberative opinion polls and other local instruments for citizen participation. Pau Alarcón holds a degree in Sociology and a degree in Statistics. He is a predoctoral researcher at the IESA-CSIC and a PhD candidate at the Institute of Government and Public Policies of the Autonomous University of Barcelona. His research interests include local participation processes, political attitudes and public policies. Laurence Bherer is professor of political science at the University of Montreal since 2005. She is interested in issues related to local democracy, urban politics and public participation. Her research has focused on the effects and the dissemination of public participation practices, municipal elections, metropolitan governance and the mobilization of actors around public transit issues. José Luis Fernández holds a degree in Political Science. He is a predoctoral researcher at the IESA-CSIC, where he works in the fields of participatory democracy and public policies at the local level, analyzing the relationship between citizens, public workers and local authorities. He also focuses on social research methods, including ethnography and comparative (quantitative and qualitative) approaches. 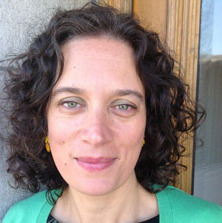 Carol Galais obtained her PhD in political science from the Universitat Pompeu Fabra. 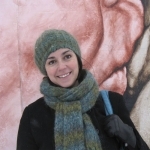 Currently, she is a postdoctoral fellow at the University of Montreal. She has been involved in research projects on political attitudes, political participation, political knowledge, local government and active citizenship. Her main research interests are political socialization processes and attitudes towards political engagement. 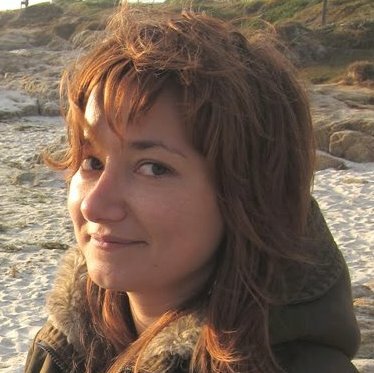 Patricia García is a predoctoral researcher at the IESA-CSIC. She holds a degree in Political Science and Administration from the Autonomous University of Barcelona. Currently, she is working in the area of participation, deliberation and quality of democracy. Her doctoral research focuses specifically on direct democracy in small municipalities governed by assemblies. Manuel Jiménez is Associate Professor in the Department of Sociology at the University Pablo de Olavide of Seville. He received his PhD in Political Science from the Universidad Autónoma of Madrid and is doctor member of the Juan March Institute (Madrid). His research interests include political participation, social movements, environmental policy and environmental attitudes and behaviours. Fabiola Mota is Lecturer in the Political Science Department at the Autonomous University of Madrid. She has participated in several national and international research projects on social capital, participatory democracy and political culture, focusing particularly on the study of institutional performance and systems of sub-national governance within the framework of multilevel government. Sara Pasadas del Amo holds a degree in Sociology. At present she is coordinating the Applied Research Unit at the IESA-CSIC. Her lines of research focus on the field of research methodology, particularly on survey quality and technical aspects related to telephone survey techniques as dual-frame telephone samples combining cell and landline phones. Carlos Rico Motos holds a degree in Law and a degree in Political Science. He works as a research technician at the IESA-CSIC and is Doctor in Political Science by the Autonomous University of Madrid. His research interests include democratic theory, theories of political representation and deliberation, civic education and contemporary political ideologies. Graham Smith is Professor of Politics at the Centre for the Study of Democracy. He is a specialist in democratic theory and practice, with a particular interest in democratic innovations and participatory governance. He is also on the executive committee of Participedia.